Chlorogenic acid has many properties. In one study, chlorogenic acid has been shown to reduce the absorption of sugar, helping people struggling with diabetes, which is also a good remedy for weight loss. What are the effects of chlorogenic acid? What can be the side effects of its use? What are the natural sources of chlorogenic acid? Are the products with chlorogenic acid offered by the pharmacy always full-value? What is the price of chlorogenic acid? Chlorogenic acid is also a caffeoylquinic acid, in short CGA, as well as green coffee extract. It has many properties, among which the slimming properties are best known. Are chlorogenic acid good for slimming? Some people argue that chlorogenic acid reduces the amount of sugar absorbed in the gastrointestinal tract, which leads to compelling the body to use the previously accumulated stores, thus helping to lose weight. The slimming properties of chlorogenic acid are proved by, among others, clinical studies of Norwegian scientists, which were carried out on 12 healthy volunteers.It was given soluble coffee enriched with chlorogenic acid. It turned out that it caused a reduction in glucose absorption by 6.9% compared to with a group of control. Chlorogenic acid reduces the absorption of sugar from the gastrointestinal tract and improves the sensitivity of tissues to insulin. However, it is not possible to draw too broad conclusions based on a study that concerned such a small number of participants, and the doctors also pay attention to the high amount of caffeine contained in the green coffee extract. The slimming substance is caffeine or chlorogenic acid It is also not known whether the slimming effect is permanent.It seems that after discontinuation of chlorogenic acid may lead to a re-increase in body weight, or yo-yo effect. You can risk saying that chlorogenic acid as a dietary supplement can help reduce body weight if you modify your diet at the same time, but it can not be ruled out that your body will regain weight again after stopping this compound. Participants (both men and women) of normal weight who did not have diabetes were given daily from 100 mg to 400 mg of extract in a water capsule, and then tested for glucose tolerance. At the end of the study, tests showed that the extract green coffee effectively reduced the blood sugar level in each participant. Those who took the largest dose – 400 mg, experienced the greatest decrease in blood glucose, although all doses caused a significant reduction in blood sugar. If chlorogenic acid can affect the level of glucose in a normal person, it should work even better for diabetics, because they have a problem, said study author Joe Vinson. 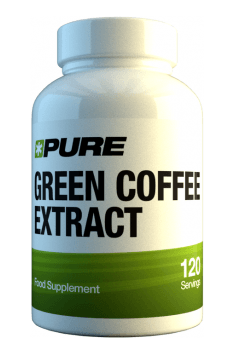 The researchers also noticed that they noticed that participants who consumed this green coffee extract for 22 weeks lost about 10% of body weight. Next Post What to eat to lose weight?